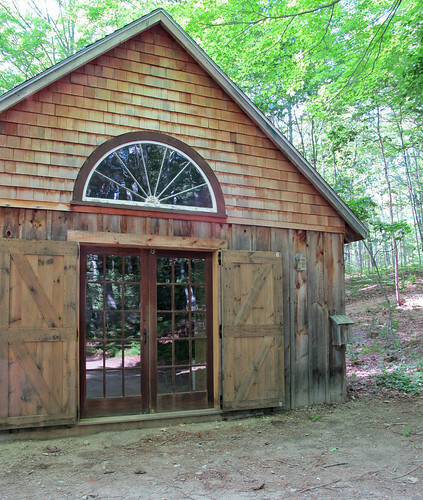 Nelkin Designs Blog: The Glory of Squam! 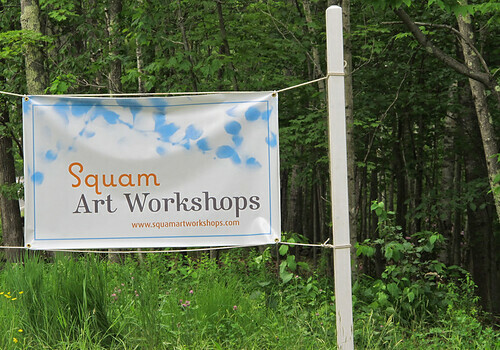 I just came back from another glorious weekend teaching at SQUAM Art Workshops. 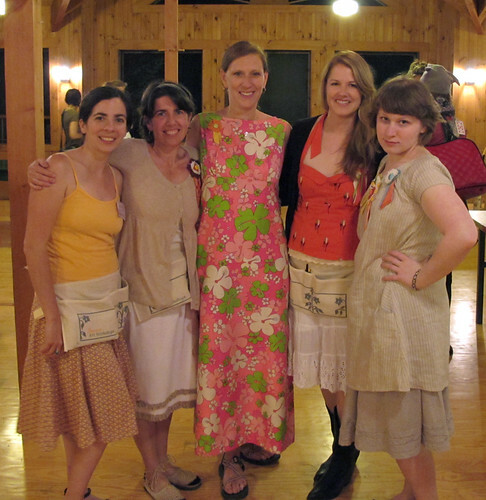 I taught there last year and it was the most inspirational workshop I had ever been too. I have to admit that I was a little concerned that there was no way it could live up to my expectations this year. I'm happy to say, it surpassed them! 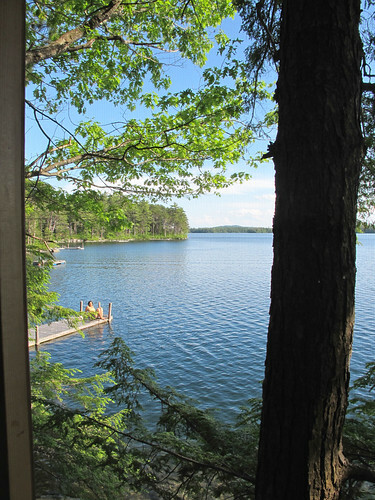 The weekend was a perfect balance of teaching, learning, swimming, walking, talking, not so much sleep and LAUGHTER. Serious laughter, I mean, pee in your pants laughter, you know? The kind of laughter that restores me to balance after many long work weeks.... and gets me ready for the weeks ahead. 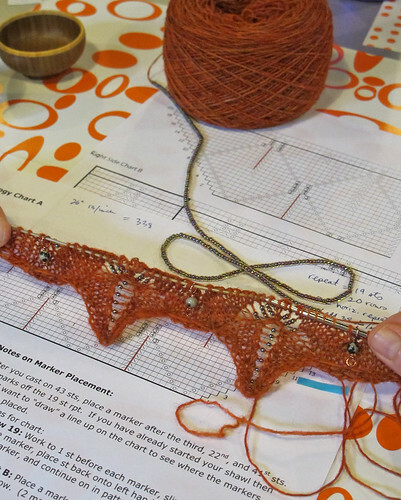 I taught Entomology all day Thursday, Circulate all day Friday, and a really fun WIP class on Saturday that helped 6 amazing knitters get their projects back on track. My students were phenomenal, we were quickly comfortable with each other and though I challenged them and "made their brains hurt" we still had tons of fun. As is typical for me I was WAY too involved in the moment to take many pics, but I finally got to meet (and spend time with) Stephanie, Ysolda, Jared, Jenny, and Gundrun and see Elizabeth (Squam's Visionary Mama) Kimm, Marisa, Lizzy, Denny, Jonatha, Jen, Maya and Jess and Casey from Ravelry again. I seriously LOVE my Squammie peeps! What a fantastic week! So nice to meet you! Already planning for next year. And look at me, posting a comment!!! No longer a lurker. YAY! so.so. jealous. One of these years I will get it together and go ! That looks like so much fun! Can't wait to see your new designs. big hugs! It was lovely to meet you and share so much laughter. 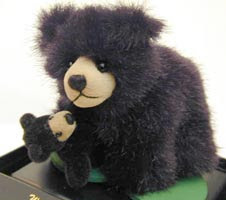 That's exactly what the bear looked like! I'm so glad I wasn't the only one who saw it, or I definitely would have thought I was seeing my spirit animal or something!